What are the new trends in home decorating colors for 2017? Green, coral and yellow–yay! 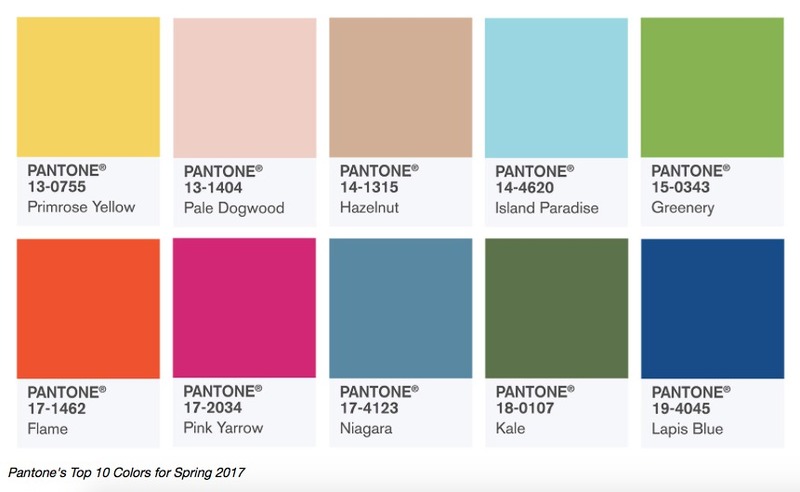 Below are the colors Pantone released as the IT colors for 2017. So if you’re sick of seeing gray everywhere, you’re in luck. But don’t go crazy! 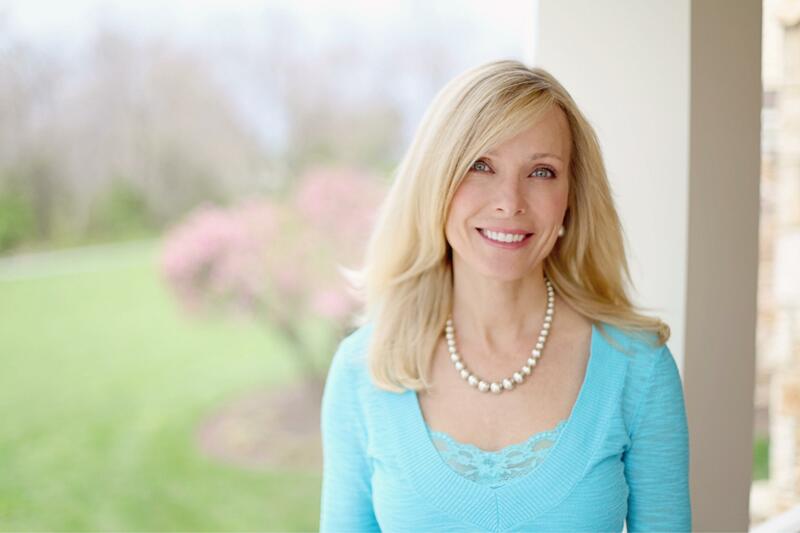 I am a big fan of color–happy colors like red, yellow and green — which has lead to some unfortunate home decorating decisions in my past. Although I’ve always believed wholeheartedly in the value of neutral decor when staging a house to sell, it took me until last year to finally jump on the gray bandwagon and refresh my own home with the popular neutral color. And I’m just in time…for gray to be on the way out! But all is not lost–my money is not wasted. What I have learned through staging, working with decorators, and scouring Houzz and Pinterest is that its possible to utilize a calming neutral canvas as the main backdrop in a room and bring in pops of color to add personality. If you just can’t live without that flaming shade of coral, go for it. Just don’t paint your entire dining room Benjamin Moore Flame–it overwhelms the senses. Rather, perhaps it would be more appealing to paint the walls a soft white and add bright coral in the centerpiece, the upholstery and some wall art. And if you’re getting ready to sell your house soon, keep in mind that as much as you LOVE the deep Lapis Blue you painted your entire foyer, a buyer walking into your home might not appreciate it. What they will see are the dollars it will take to paint over that dark color, if they can see past their dislike of it at all. 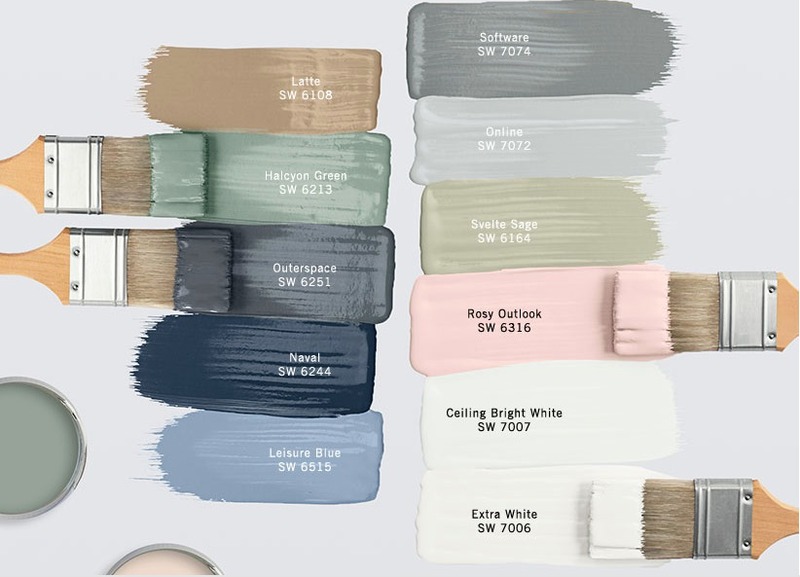 Pottery Barn recommends several great options for neutral paint colors and has partnered with Sherwin Williams to offer a discount on your purchase. So, if you’re like me and you just gotta have some color in your house, enjoy the new bold colors for 2017. But if you decide to go crazy and paint every room in your house a different color, keep in mind you will need to neutralize at some point when it’s time to put your house on the market. Happy decorating!